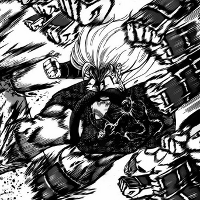 History's Strongest Disciple Kenichi Battle 583 has been released by MangaPanda. The final chapter! Battle 583 is titled, "The Path to the Strongest"
History's Strongest Disciple Kenichi Battle 582 has been released by MangaPanda. The battle with Yami concludes! Battle 582 is titled, "Piercing Through..."
History's Strongest Disciple Kenichi Battle 581 has been released by MangaPanda. Yami activates their plan! Battle 581 is titled, "The Missle's Direction"
History's Strongest Disciple Kenichi Battle 580 has been released by MangaPanda. 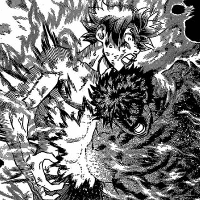 Kenichi and Kajima's battle comes to a close! Battle 580 is titled, "Ki Holding"
History's Strongest Disciple Kenichi Battle 579 has been released by MangaPanda. Kenichi and Kajima reveal something new! Battle 579 is titled, "A New Technique"